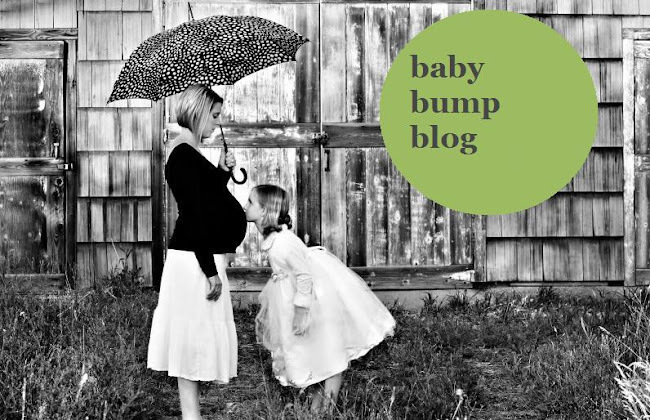 The Baby Bump Blog: 9 weeks to go? There's no way I still have that long! This pregnancy seems to be hitting me much harder in the final months than Lily's did, and I really feel it now. The full-on waddle, the feet that have grown a fill shoe size (not looking forward to sandal weather ending in a few weeks! ), the Braxton Hicks contractions and wild baby movements (he's too big now for kicks, it's more so body rolls now which are quite the sight! ), the extreme fatigue and shortness of breath since LG is resting happily on my ribs which house my lungs).... you get the picture. Lily was 8 days early, even though everyone-and-their-brother told me "first baby's never come early", and I remember thinking similar thoughts with her... That towards the end my body was feeling as it is now and I couldn't fathom her coming on time or late. Well she wasn't - she was over a week early as my body was warning me the whole time. LG seems to already be doing the same, but he has a while to go still (I hope). I'm not opposed to going early - I loved shaving 8 days off the waiting time for Lily. I was so ready to meet her and she was 7lbs 12 ounces, so she was fine to come out when she did, but I know LG would not be fine if he came too too early. Like 9 weeks early. Yeah, that would be bad. Buddy's only about 3.5lbs right now. Anytime after Missy's wedding (October 3rd I'll be back in Montreal) would be fine with me though! I have my 32-weeks ultrasound on September 15th and we'll see what they say then. My prediction is that they'll say LG is measuring a tad on the big side and that he may come early... because there's no way in 9 weeks I'll still be carrying around this man! In related news, my dear sweet friend Jamie is STILL waiting on her babe to make it's arrival (she was due Aug 28th). I can't imagine waiting 8 days PAST my due date (where she was as of today) as lily was that much early. She's such a trooper though. Would you mind praying that her baby comes tonight? Or tomorrow? Or basically SOON? She is going to be a great mom and is more than ready to meet him/her! we are praying that tonight is the night!!! oh jamie. i'll pray for you too! even though we've never met. i was 19 days over due with my daughter...so i totally understand the waiting and EVERYONE asking, 'when are you going to have that baby?' (like i know?!?!) they have to come out at some point right?! i'll pray that it's soon and everything goes just perfect. @ 1:45am Lily is born! @ 7:41pm Oli is born! hold + try for baby #3!